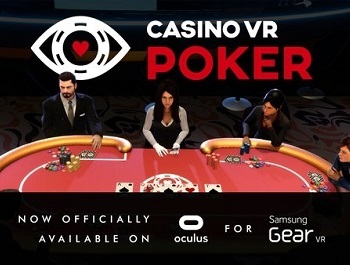 Virtual Reality Casino Roulette is the closest replication to the classical roulette played at brick and mortar casinos so far. Characterized by 3D animations, clear-cut graphics, realistic sound effects and fast load time, playing this game on your preferred gaming device is going to bring the land-based casino feeling to the comfort of your home. If you have never played this game before, do not worry for I have prepared a detailed and unbiased review that will help you learn all you need to know about this exciting casino game. Online virtual casino roulette is one of the most played casino games in the UK. It is therefore not surprising that the game has various variations including French, European, American and California Roulette to suit the needs of various players online. This is the most sought out variations among players online due to its low house edge of 2.63%. Characterized by 36 numbers and a single zero, playing this variation is likely to exude an exciting casino experience. Unlike the European, this variation consists of 36 numbers, a zero and a double zero. The existence of a double zero increases the house edge to 5.26%, which is not very friendly to online casino players. With that in mind, it is not very wise to settle for this virtual casino roulette variation for chances of winning are very low. If you ask me, this is the best roulette variation for it offers the lowest house edge of 1.35%. Why is the house edge this low? Well, this is because this variation encompasses the ‘la partage’ rule. This unique rule allows players to claim back half their wager each time the ball lands on the zero, which is pretty exciting if you ask me. The virtual reality casino roulette table consists of twelve rows and three columns, which consist of the numbers 1 to 36. The end encrypted with the numbers 1 to 3 borders the zero on the European and French variations and borders 0 and 00 on the American variation. What’s more, this end faces the wheel. These are not the only divisions available on the virtual casino roulette table. On the contrary, it has been divided into two wagering sections namely the inside and outside bets. The inside bet section consists of all possible numbers you can wager while the outside bet contains grouped numbers as you will see on the types of bets section below. Understanding the various types of wagers in online virtual casino roulette is a huge stepping block in mastering the art of this thrilling casino game. That said let us broadly look at the two types of wagers in the game namely inside and outside bets. Straight up bet – this is the highest paying stake for the probability of the ball landing on the single number you have selected are very low. Place your chip on your lucky number and wait to see if you will reap a juicy 35:1 payout. Split Bet – earn a 17:1 payout by selecting any two numbers you think the ball will land on. To do this, place your chip on the line separating your selected numbers. Street Bet – select any three numbers on the table by placing your chip at the bottom of your lucky row. If the ball lands on any of the three numbers, you will enjoy an 11:1 payout. Corner Bet – select any four numbers by placing your chip at the center of four numbers for a chance to earn an 8:1 payout. Line Bet- if you want to increase your probability of winning via an inside bet, the line bet is the way to go. Select six numbers by placing your chip at the end of two rows, precisely on the line between these two rows. Make the right prediction to earn a 5:1 pays out. Odd or even bet – this is yet another wager that pays out 1:1. Simply select whether the ball will land on an odd or even number by placing your chip on either the odd or even tabs. High or Low Bets – here the numbers on the table layout are divided into 1-18(low bet) and 19-36(high bet). Select whether the ball will land on a high or low number to land a 1:1 payout. On the other hand, if the ball lands on a zero or double zero, you lose. Dozen Bets – as the name suggests, the numbers are grouped into twelve namely: 1-12, 13-24 & 25-36. Place your chip on either of the groups to earn a 2:1 payout if your prediction is correct. Column Bet – similar to the dozen bet, you will select 12 numbers and earn a 2:1 payout if your selection is correct. However, the numbers here do not appear consecutively for you will select one of the three columns on the game’s table. Now that you are familiar with the roulette table layout and the various types of wagers, learning how to play real money online virtual casino roulette will be a breeze. The first step is to deposit money into your online casino account then proceed to purchase chips at the site. Buying chips is easy for you are only required to click on the desired chip denominations to complete your purchase. Once you have the chips, select your preferred wager and proceed to click on the spin button. At this juncture, the wheel and the ball are rotating in opposite directions. Wait for both the wheel and ball to stop rotating in order to determine whether you have won or not. 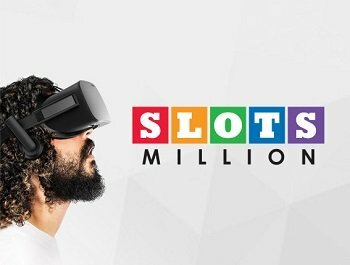 If you have never played virtual reality casino roulette, try out the game free with no download and registration. This will not only enhance your gaming skills but also save on your gaming device storage space. Once you have played free a couple of times, proceed to play for real money at the best online casinos for a chance to land huge payouts and exciting bonus prizes!